Guided City Tour in Kathmandu Valley and Pokhara. Short Scenic Drive to Thado Khola. Climb up to Panchase Danda. Short trek to Phedi Village. 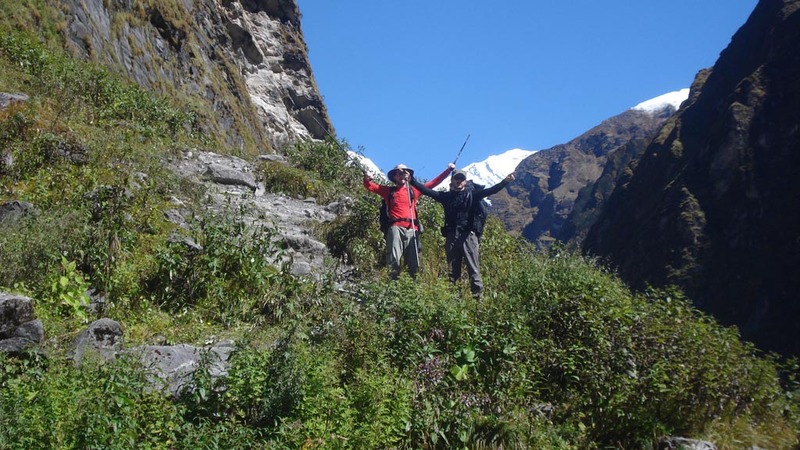 Panchase Trek allows us to experience yet another short and easy trekking at Annapurna Region of Nepal. During our Panchase Trekking, we get amazing views of the nearby Himalayas, great cultural experience. Along with this we can experience the abundance of floras and faunas with rich vegetation and unspoiled biodiversity. Panchase Trek starts from Pokhara that takes us through Bumdi, Panchase Bhanjhyang, Panchase Peak, Chitre, Matathati, Ghandruk, Pothana and back to Pokhara. It offers magnificent views of Manaslu, Annapurna, Dhaulagiri, Machhapuchre, Lamjung Himal and other peaks. Topography also varies from subtropical valleys to terrace farmed paddy fields. It also offers great bird watching opportunity. There is also cultural mix in this Panchase Trek as we will see the various cultural mix of Gurungs, Magars, and Brahmins. It is safe, short and easy trekking trip. Therefore, it can be arranged during any time of the year for any travel enthusiast. 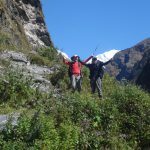 Join Panchase trek with Euro Asia for delightful unforgettable trekking experiences at heavenly Annapurna region of Nepal. After having our breakfast, we are going to do some sightseeing activities today. As planned, we will explore some of the most iconic UNESCO World Heritage Sites inside Kathmandu valley. Upon finishing our tour, we shall then drive back to your hotel. Today we are going to head off to the famous lake city known as Pokhara. The entire drive will take us about 7 to 8 hours to reach Pokhara from Kathmandu. We leave the noisy streets of Kathmandu and follow a winding roadway along the scintillating Trishuli river. Your eyes will be occupied by the views of green lush hills, small towns, people, markets and rivers. You can witness the first glimpses of Nepalese diversity of your trek while enjoying your drive. Later, after reaching Pokhara city, you and your friends will be escorted to your respective hotel rooms by our representative. It is your first morning in the touristic lake city of Pokhara. So, enjoy the serenity of Himalayas while eating your breakfast. And after finishing your breakfast, we will head off to our next destination to Bhumdi. But that will require us to take a short scenic drive to Thado Khola by following the Tansen/Bhairahawa Highway. Next, we will start trekking to Khahare and then ascend for an hour to reach the first rural community of Kalabang. From here, we will begin descending down towards Bhumdi. Upon reaching Bhumdi village (1,520m), you will be able to witness the grandeur of Mt. Annapurna, Mt. Machapuchare (Mt. Fishtail), Mt. Himchuli. During clear weather, we get to view great Himalayan panorama on our trails. Our trek takes us up through forest and then on to Bhanjyang, a small settlement at the foot of Panchase. This place offers great views over Pokhara Valley and Fewa Lake. After reaching our desired destination of Panchase Bhanjyang, we will now leave Panchase Bhanjyang. 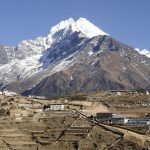 Initially, we will have to climb up over the Panchase Danda which stands at a high elevation of 2,517m. Considered as one of the best view point of this region, you can enjoy the picturesque mountain views along the way down to Chitre village. In addition to that, Kusma and Pokhara valley can also be seen. Later after arriving at Chitre village, you will get the opportunity to experience the cultural richness of Chitre village. It’s going to be another beautiful day for trekking today as well. You will wake up in the naturally vibrant town of Chitre, have your breakfast while enjoying the freshness around you. Then after, we carry our bags once again for another hike down to Matathanti village. The entire journey is going to painless as the trail won’t be demanding for us to get through. But make sure to take every step with some amount of caution as you never know what may happen while you’re out there. Later on, we continue heading down until we reach Matathanti village. After we reach Matathanti we will be welcomed by the hotel and take rest. Leaving behind Matathanti village, we will now have ascent a little further high up towards the popular beautiful village of Ghandruk. We will walk through forested trails filled with exotic wildlife and ecosystem. Be sure to have your cameras with you as the Himalayan views will totally be worth glancing upon. Known as one of the largest and popular Gurung villages inside Annapurna region, Ghandruk will be one of your favorites place to stay during your trek. Because, you can watch the tantalizing Himalayan view of the Mt. Annapurna, Mt. Machapuchare, Mt. Nilgiri and Mt. Dhaulagiri. Continuing with our trek, we will now head away from Ghandruk village and start descending for about 5 hours through lush green hills covered with terraced farmlands and small village communities. Today you will cross some suspension bridges along the way and traverse through Landruk village as well. Later, we make a short hike up to Deurali and then descend all the way down to Pothana. Today is the final day of our trek as we plan to reach Pokhara. But before that, we need to make sure that we reach Phedi village. It will take us approximately 2 to 3 hours to reach Phedi from Pothana. En route we will travel through beautiful terrains with charming landscape views. Next, upon reaching Phedi, we will take a drive back to Pokhara city which won’t take more than 30 minutes. Upon reaching Pokhara, you can rest yourself and then enjoy the remaining time by strolling around the lakeside streets. Our trek has come to an end and so we will now take a drive back to the Kathmandu city. Following the similar route through hills and valleys, we will reach Kathmandu in about 7 to 8 hours. Later enjoy a Farewell dinner in the evening. After breakfast transfer to the International Airport for your flight back to your home country. 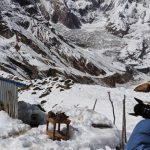 7 Days trek as per program with English Speaking Sherpa Guide and porter. Accommodation in normal lodges with full board during trek. 02 Nights Accommodation in Pokhara with daily breakfast. All Transfer by Private Vehicle.